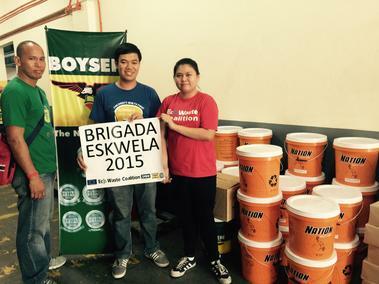 "The annual Brigada Eskwela provides school communities a great opportunity of promoting lead-safety consciousness among the participants of various cleanup and makeover activities," said Jeiel Guarino, Lead Paint Elimination Campaigner, EcoWaste Coalition. “The prevention of the toxic risk posed by lead in paint, dust and soil should be prioritized in every Brigada Eskwela operation as it poses grave threat to the well-being of young children,” he said. “Oil-based enamel paints containing lead are still being sold in the market. Lead is a neurotoxin that damages children’s mental, cognitive and behavioral development—and thus, must not be used at all in schools and other places frequented by children,” he added. Guarino also emphasized that improper removal of leaded paint in school classrooms and facilities should be prohibited in Brigada Eskwela activities as the lead dust that may be created from these renovation activities may cause serious health problems for all participants, with the children at highest risk of exposure through accidental ingestion due to their normal hand-to-mouth behavior. The World Health Organization (WHO) has described exposure to lead through ingestion, inhalation and, sometimes, through skin absorption as being “irreversible” and “untreatable,” and has listed lead as one of the “ten chemicals of major public health concern,” estimating that childhood lead exposure contributes to about 600,000 new cases of children with intellectual disabilities every year. Pacific Paint (Boysen®) Philippines, Inc. is both an active participant in the annual Brigada Eskwela initiative and more importantly the removal of lead in paints. “Our company is serious in its commitment to produce paints that are safe for the environment and people who use our products,” Boysen® Paints vice president Johnson D. Ongking said. 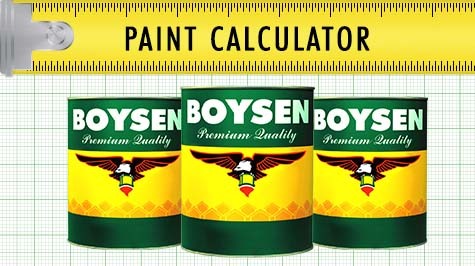 “Boysen® has eliminated lead from all its paint since 2007, ensuring that the paints we give to Brigada Eskwela are free from any material that could endanger the health of schoolchildren and school persoonel,” Ongking added. 1. Use lead-safe paint for school interiors, exteriors, furniture and fixtures. Specify lead-safe paints for donations from individuals and institutions. 2. Keep children and pregnant women out of the work area, as lead is very hazardous to unborn children. 3. Do not disturb lead painted surfaces in good condition. 4. Cover cracked or deteriorated surfaces with lead-safe paint. Do not dry sand or dry scrape painted surfaces. 5. Wet sand or wet scrape if desired or needed. Use a spray bottle or wet sponge to keep the surface damp and the airborne dust levels low. 6. Do not eat, drink or smoke in the work area. 7. Work clean: create little dust as possible, clean up thoroughly and dispose of paint waste properly. 8. Thoroughly wash hands with soap and water after any repainting work. 9. After a repainting job, change clothes before going home, set aside in a sealed reusable bag and wash separately.